+ A member of: PETROVIETNAM CONSTRUCTION CORPORATION, under VIETNAM NATIONAL OIL AND GAS GROUP. PetroVietnam Nghe An Construction Corporation is a member of PetroVietnam Construction Corporation (PVC), under Vietnam National Oil and Gas Group (PVN). It was formerly Nghe An Construction Company No.1. It was established on 20/4/1961 and was reorganized under the direction of Prime Minister No.500/TTG, decision No. 4495/QD-UB by the Chairman of Nghe An Provincal People's Committee, is one of the top units in the construction industry of Nghe An. From 19 / 01/2005 Corporation officially came into operation in the form of joint stock company based on decision No. 284/QD-UB-DMDN dated on 19/01/2005 by Nghe An Provincal People's Committee and renamed to Nghe An Construction and Investment JSC No. 1. In May 2007, PVN accepted the company as a member of the Group under decision No. 2397/QD-DKVN on 4 May, 2007 and renamed to PetroVietnam Nghe An Construction JSC (Abbreviation PVNC). On 26/10/2007 PVN switched 51% of holding shares in PVNC to PVC and the company officially became a member of PVC. 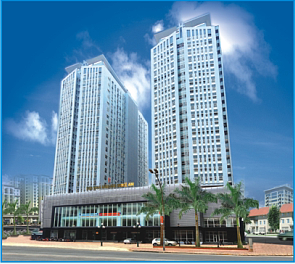 In May 10/2010 it was renamed to PetroVietnam Nghe An Construction Corporation. Joining to PVN and became a member of PVC marked an important turning point and opened up many great prospects for PVNC. On the one hand, Corporation is raising financial resources, increased competitiveness, prestige brands on the market, otherwise the Corporation has chance to access large projects of PVN and other units of the Group. This is a great opportunity for Corporation to develop to a new level.